Explore Albany’s historic whaling station, Discovery Bay, on this guided half-day tour. 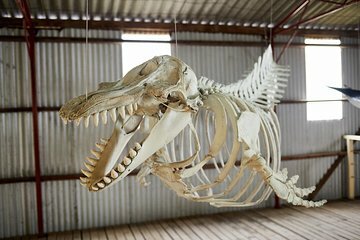 Head out to Discovery Bay where you’ll learn about Australia’s whaling history: climb aboard a whale chaser, view artifact galleries, and see enormous whale skeletons. On the trip back, travel through the native bushland of Torndirrup National Park and visit the Gap and the Natural Bridge.